A few months ago, I wanted to make bread, but I had a problem: I didn’t want to buy a an $8 jar of baker’s yeast because I probably wouldn’t use most of it and the unused yeast would just die. I also didn’t want to buy some of the little packets of yeast because that’s ultimately, like, one-third of the yeast for the same amount of money. So I had a brilliant idea: I will get myself a gooey mess of active yeast and bacteria that has to be periodically fed with flour and water lest it dies, thereby forever creating more work for myself just so I don’t have to shell out $8 for a jar of yeast. That, my friends, is how I got a sourdough starter. Wine, herb brie cheese and baguettes, also known as dinner. 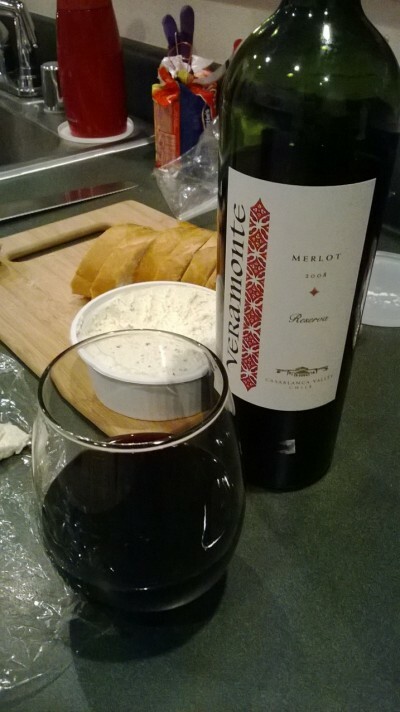 It’s obvious that the best dinner consists of wine and cheese (and sometimes, that’s all I want for dinner). But as the weather starts to cool and the leaves begin to fall, I find comfort in the simplicity of the preparation juxtaposed with the robust flavors of the food. Today, we’re having merlot for dinner. While I am partial to Spanish wines, how could I resist this minivacation to Chile’s Casablanca Valley with a merlot by Veramonte. It’s rich, dark, fruity and smells heavenly. This is how life should be. 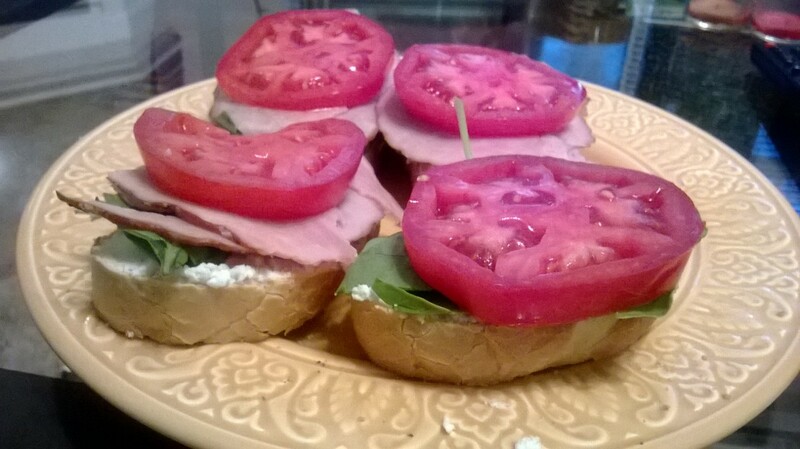 When you have some basics like goat cheese, spinach, tomatoes and deli meat, what else can you do besides put it on a baguette?